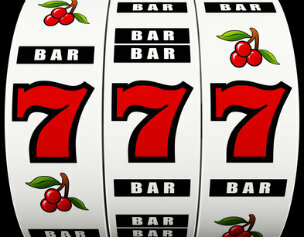 The New Jersey Online Casino Industry, up until now has been limited in regards to what they can offer their players. There has been a big shift from the Brick and Mortar Curbside Casinos to the Online Casinos, not just in New Jersey, but in other states that have joined the forefront of this new era. The New Jersey iGaming Market Gaming Innovation Group has decided to take charge and create a more attractive platform for its slot players. This platform consisted of allowing its players to use more than one slot machine/game at once, up to 4 slot machine games to be exact. This takes a player far from where they began, playing one slot at a time, and investing strategic time and money on that “1” slot machine. Oh how the times have changed. This was made possible by the partnering of Hard Rock online casino and Hard Rock Casino. They came together to make a simple, innovative platform, which allows the user to split their screen into 2, 3 or 4 different sections where the slot machine game of choice can be played on. The online set up is very simple, it includes a lobby where you can choose your game of choice and refer back to, once in your game, at any time. So, your slot game will be visible and functional at all times. This is a whole new ball game for the New Jersey iGaming Market and has been a huge success since its arrival back in June of this year. We all know that the hottest thing right now in the internet realm is device enabling. Sorry to say, as of right now we cannot play these games on a split screen platform from our cell phone devices yet. I’m sure this is something that they are working on given the demand of this. Although, it has been said that the main reason for this, is the difficulty seeing the graphic details of the game, not to mention the reduction in size once the game has been split into multiple screens. Although it doesn’t support cell phone devices, it does support tablet devices for singularity, and I have heard that they are currently working on enabling the split screen option. This will be a big hit, I’m sure of it. It would be unfair for me to not give everyone a reminder that this is Hard Rock’s soft launch, which means this is their trial period where they will have minor setbacks and hurdles to get through, this is predicted. Those corrections are what will make the multi-functional gaming experience platform a much-desired choice. So take the online glitches with a grain-of-salt and enjoy the new experience. Remember, it’s very easy to get carried away, especially when you are having fun, but even online the odds favor the house! « A New Frontier of Fraudulent Activities in Online Gaming? Online Casinos Catching On In The U.S.